A chilling thriller to warm your movie-loving heart! Not so long ago, December 24th was considered such a low-drawing movie night that many theatres would drop their evening shows. But in the last few years, New Beverly faithful have, to our large gratitude, made it tradition to spend their Christmas Eve with us, enjoying an unconventional holiday-themed double feature on the big screen. 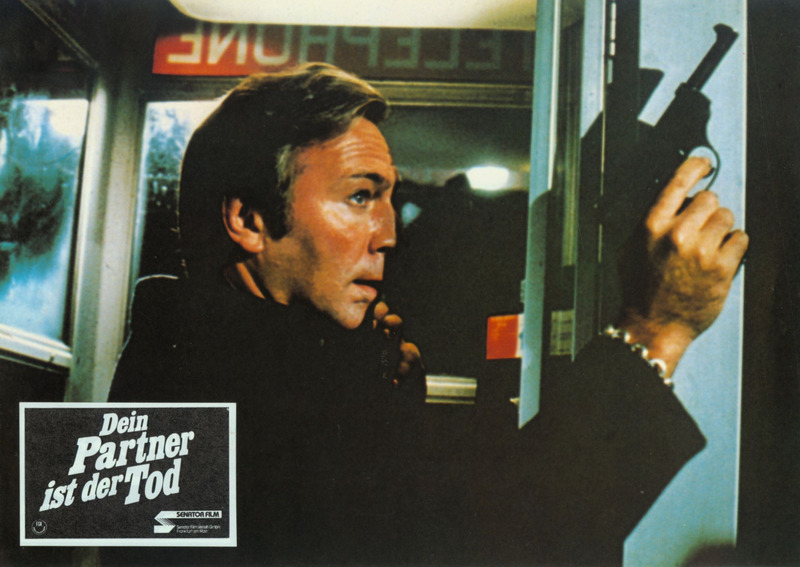 The anchor has always been the immortal Die Hard, and after experimenting with choices for the proper co-feature, we’ve finally found what we believe is the partner for the perfect Christmas cinema cocktail: Daryl Duke’s 1978 thriller The Silent Partner! Miles Cullen is a quiet brown shoe type everyone at his bank job takes for granted. Thus no one would suspect that the reason he doesn’t flinch when his till gets robbed by a Santa-clad gunman is that he already got wind of the plan beforehand, and has shorted him by thousands of dollars, pocketing the difference himself. Miles’ Christmas is now made, with a fat reserve of cash, hero worship, and female admiration from those that previously ignored him. But the foiled robber, Harry Reikle, soon figures out the fix, and so begins an escalation of wits, manipulation, and violence between them; first for money, then for survival. 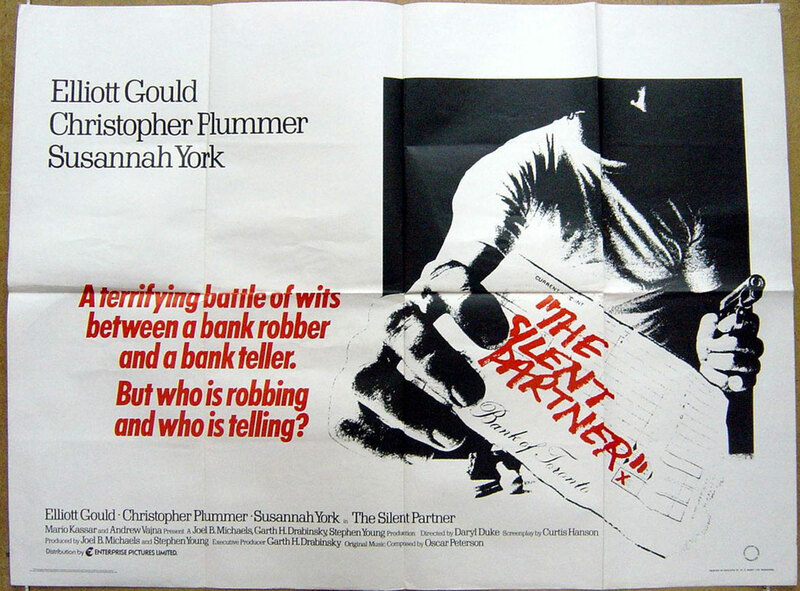 The irresistible plot of The Silent Partner originated with the Danish crime novel Think of a Number by Anders Bodelson, a former law and economics student who became a published critic before writing literature inspired by Patricia Highsmith and Georges Simenon. Like those authors, Bodelson’s books centered on mundane folk tempted by amoral opportunities. The novel was translated and published in English in the late ‘60s, and was adapted into a 1969 Danish film by Palle Kjærulff-Schmidt that starred frequent Ingmar Bergman collaborator Bibi Andersson and Henning Moritzen, best known to U.S. audiences from Thomas Vinterberg’s dysfunctional family drama The Celebration. 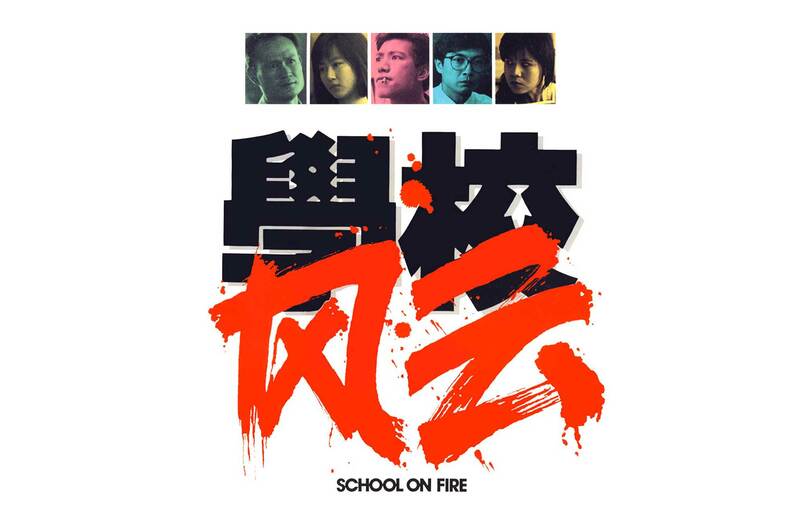 The film’s production has become legendary for the people involved in its creation, and the manner in which it was made possible. Producers Mario Kassar and Andrew Vajna, who had made their film reputation as investors and sales agents, picked up rights to the book, making it one of the inaugural films for their Carolco shingle, which became a powerhouse after the worldwide success of the Rambo films, Terminator 2: Judgment Day and Basic Instinct. Financing was obtained through the very popular tax incentive plan Canada offered filmmakers that effectively provided 100% compensation in exchange for using majority Canadian talent in all positions. The time this plan was in place, 1974-1982, fostered the “Canuxploitation” era that launched David Cronenberg and Ivan Reitman, and yielded dozens of horror, action, and comedy favorites. 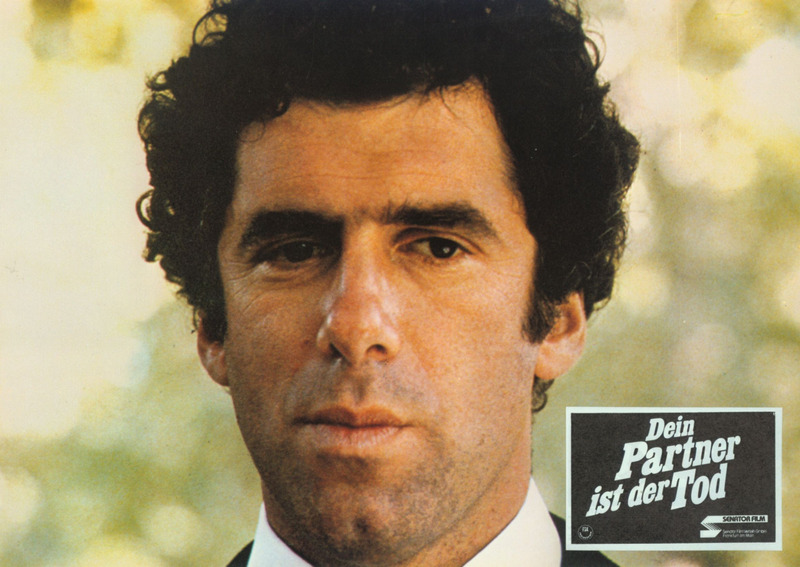 While the movie was a big hit in its native country, winning 6 Canadian Film Awards including Best Picture and Best Director, The Silent Partner had a harder time reaching audiences in America. 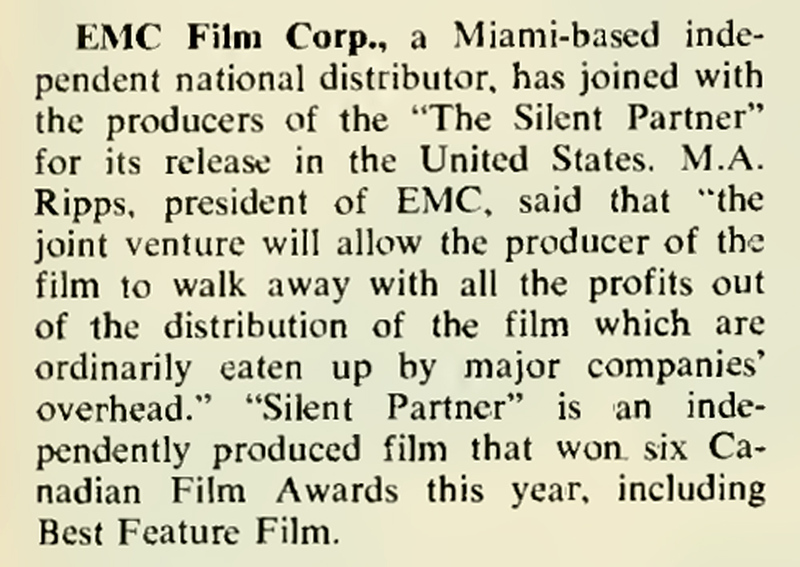 It was acquired in 1979 by Miami-based distributor EMC Film Corporation, then known mostly for handling genre fare like Naked Rider. EMC was run by M.A. Ripps, infamous for successfully circulating the 1957 Southern drama Bayou with Peter Graves and Timothy Carey under the lurid title Poor White Trash in drive-ins all the way into the ‘70s, and John Chambliss, who started another legendary exploitation reissue company, MPM. 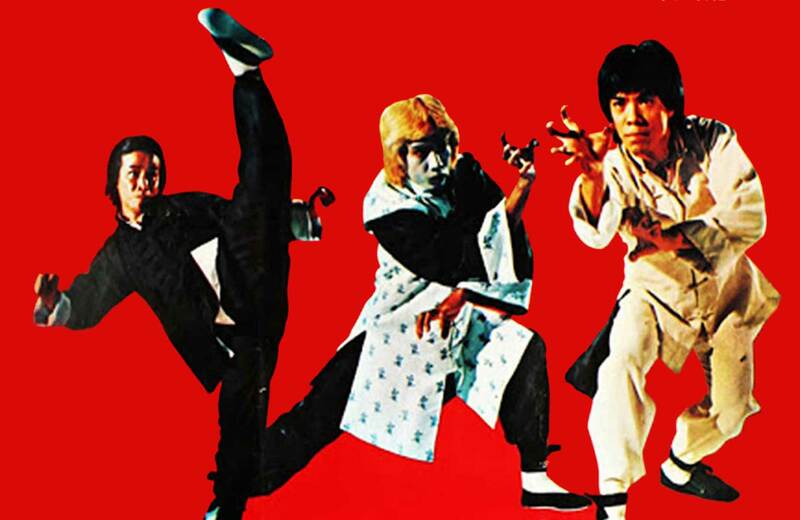 The movie slowly made its way to major markets over several months, with multiple ad campaigns, hoping to find a niche. Ultimately, most fans of the movie likely discovered it at home. HBO, eager for new movies to showcase, contributed seed money to many Canadian tax shelter projects in exchange for ancillary rights. 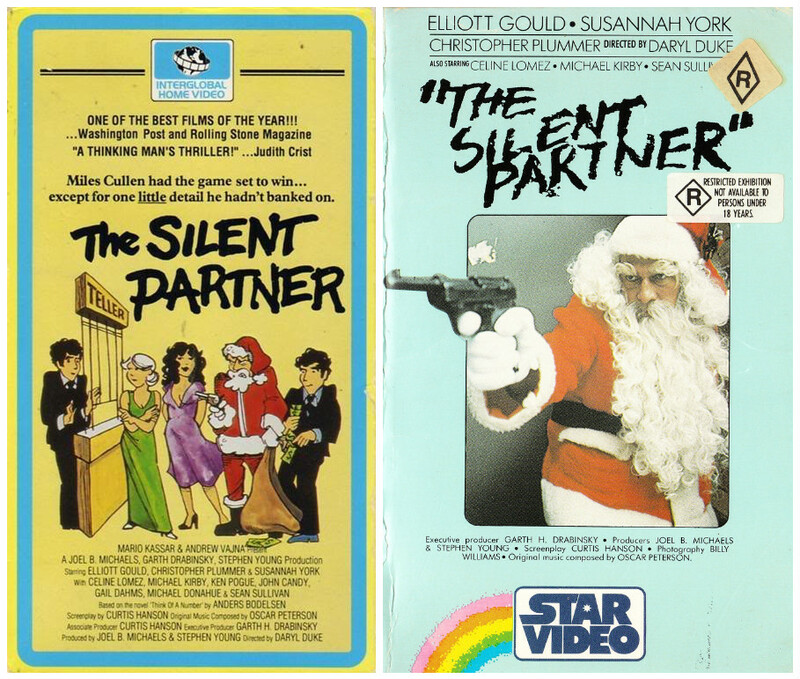 Thus The Silent Partner, along with other Canuck classics of the era like The Changeling, Meatballs and Agency, went into heavy rotation on the network. In addition, legendary independent video label Vestron, who started out partnered with HBO for acquisitions, released it and other Canadian films on home video, including laserdisc and CED! Thus, pairing up this crackerjack Christmastime thriller with everyone’s favorite Yuletide action classic Die Hard is a present you’ll be raving to your friends about long after your cookies are eaten and your gizmo gifts are obsolete. 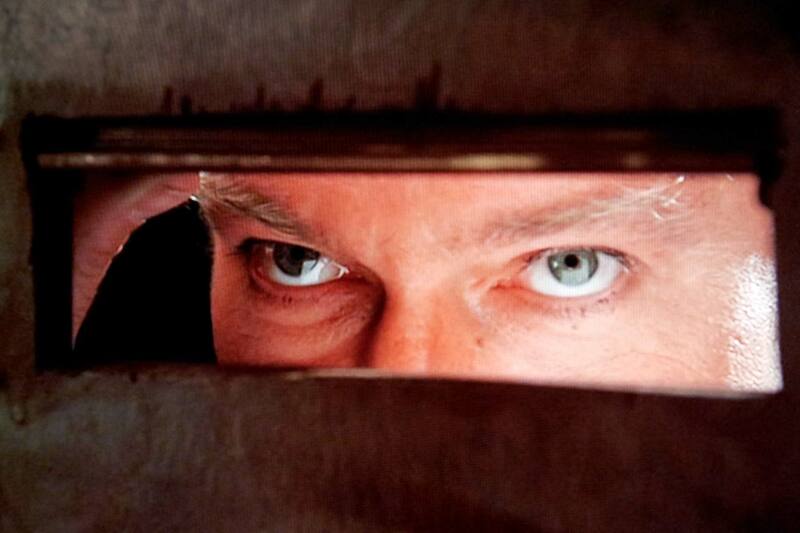 So after you see Alan Rickman plunge from Nakatomi Tower, make sure you stick around to see Christopher Plummer terrorize the Eaton Centre. It’s a chilling holiday combo that will warm your movie-loving heart!